New features, website migration, and our plans for 2019. I can’t begin to tell you how excited I get when I hear that Friday Feedback is helping break down these barriers and helping leaders create better relationships with their teams. Nearly 1/3 of someone’s life is spent at work. We want to make it just a little bit better. Historically, you have accessed functions on the website from fridayfeedback.com. Now, the web application can be accessed from my.fridayfeedback.com. If you visit fridayfeedback.com, you will see the marketing website now and will be prompted to login to access the web application. If you access a link in an email that was sent in the past, the links will not work (unfortunately). For future emails, we will automatically send you to the right place. If you have saved bookmarks, we recommend adding “my.” to these links and they will work correctly. We are sorry about this change, but we believe it’s necessary to improve application performance. 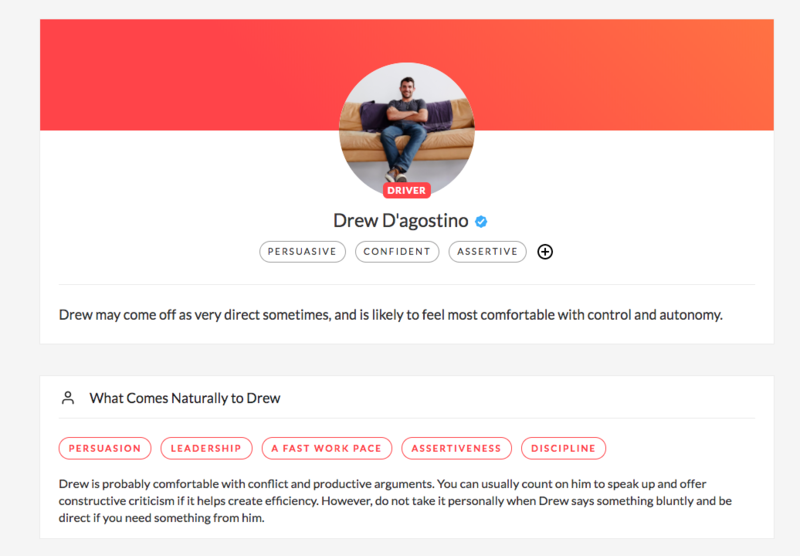 NEW FEATURES TO KICKSTART BETTER CONVERSATIONS AT WORK. With the boring news out of the way, I’d like to show you some things we’ve been working on recently. Our goal is to give you (and your team) better insights about what’s going on, without spending all day in meetings. Many of you use Slack or another tool to improve collaboration with your team. We recently added a new campaign to help you hold asynchronous daily standups. You can read about how it works here. For individuals in roles that require frequent collaboration, it’s important to get an understanding of what people are working on. Many organizations hold a daily standup in person, but these meetings are expensive, especially if the information can be collected and distributed without holding a meeting at all. 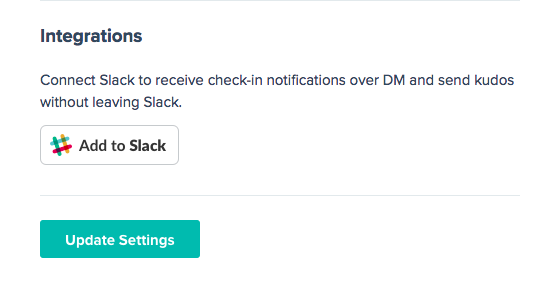 Our integration is baked directly into Slack (or email), so you can share what you are working on every day of the week. If you’d like to set this up, please email us. The weekly check-in is the bread and butter of Friday Feedback, enabling teams to share feedback with their team leader, offering suggestions for improvement, and sending recognition to others on the team. That’s why we are releasing public questions/answers into beta in the next month. Now, you can enable certain questions/answers to be visible to everyone across the team (or company). For example, if you asked, “what did you accomplish this week?“, the results could be visible to other members of the team. Now, the team leader is no longer the bottleneck and certain bits of information can be seen by the right people. It can also help you spend less time in a weekly meeting because the team already understands what everyone has accomplished. Don’t worry, this feature is optional, so there’s no change required. If you would like to be a beta tester and give feedback, please contact us. In the next couple of months, we will be changing our name from “Friday Feedback”, to “Friday.” The domain name will be changed from fridayfeedback.com to friday.app. We love alliteration, but many people call us “Feedback Friday” vs. “Friday Feedback.” We are glad that the name is memorable, but this will degrade the brand over time. We’d prefer to make this change now vs. later. Our suite of tools is no longer only about “feedback.” For example, one of our most popular features is kudos. Recognition isn’t feedback. By removing “Feedback”, it will give us the flexibility to better describe what we do. According to research, when people hear the word “feedback”, it triggers a negative association in the brain. Quite frankly, we think Friday is a lot more optimistic, after all, who doesn’t like Friday? It’s the best day of the week. In the upcoming weeks, we’ll be sharing a new logo. If you’d like to get a sneak peak and give feedback, you can reach out! RAMPING UP AND IMPROVING EXISTING FEATURES. Finally, this year we are significantly ramping up our engineering team and will be doubling down on improving the existing features inside the product. We are laser focused on creating the best (and most reliable) product for you. If you have any questions, feedback, or concerns, please let us know. We want to make a product that you and your team enjoy using.